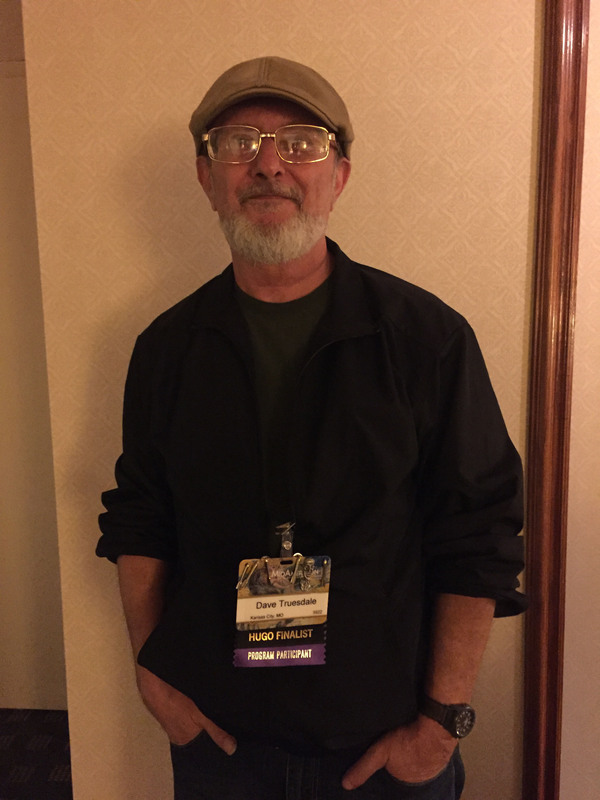 Before I write the AAR (After Action Report) for Worldcon 2016 / MidAmericon II, I want to address the controversy over Dave Truesdale’s expulsion from the con for offensive behavior. I missed that panel, so unlike many others I’m not going to pass on rumors and sit in judgment of Dave or ConCom because I wasn’t there. But I did listen to the recording and have read almost everything posted about it. First, conflict of interest: I’ve had one essay edited and published by Dave in Tangent Online (Fear is the Mindkiller), and I am generally sympathetic to his views. I give him credit for his many years of labor reviewing short stories and running a Hugo-nominated publication. Which doesn’t give him permission to be assaultive, of course, but should count in his favor. Dave’s initial post with audio recording. – It’s not unheard of for a person appointed moderator of a panel to open with a provocative stand against the thesis of the panel written by someone on the program committee. In this case, the posited “Golden Age of Short Fiction” was the topic and even the description suggested it might be debatable. Dave was more incendiary than necessary to make his point, but the panel dealt with it and continued after the disruption to a productive discussion, with Dave doing a good job of moderating. It appears that ConCom’s expulsion without (according to Dave) giving him an opportunity to respond was an overreaction, unless there is more to it. – Moshe Feder (editor at Tor) comes out as a true liberal, defending free speech even when it’s obnoxious or disagreeable. Which is also my position; you can always leave or respond to speech you disagree with, and banning speech you don’t like encourages the attitudes behind it to go underground, giving them a glamorous outlawed importance they don’t deserve. The best way to discredit bad ideas is to let their promoters speak, counter their arguments, and let others judge for themselves. – Audience reaction was a big part of the problem. The heckling and booing contributed to the tense atmosphere, and Anna’s fears were in part due to this breakdown in decorum. Dave is partly responsible since he need not have made his point so provocatively, but everyone who turned up the volume shares the blame. – Tranparency is needed. Far too many people are taking positions based on pre-existing tribal tendencies without any direct knowledge or reliable facts; I’ve read lots of piling-on comments by women who think Dave made misogynist comments and suggested women and PoC should not be included. ConCom needs to release a statement of what facts they had when they decided to expel Dave. Failure to do so has led to more character assassination and speculation about other high crimes Dave supposedly committed to justify expulsion. This itself is damaging to the community. – The con asked Dave to moderate, which makes the con somewhat responsible for what happened. Dave’s beliefs are well-known, and for some programming people to ask him to volunteer then have other ConCom people judge him severely for his immoderate moderation would seem to repel future moderators from volunteering. It could easily be assumed his views, which are held by quite a few con attendees, are being punished as much as he is. ConCom should make it clear that’s not the case. This new culture of victimhood — quick to take offense and call for authorities to enforce restraints against speech that disturbs delicate sensibilities — is outlined in the post Men of Honor vs Victim Culture. Posted in Books, Politics, Publishing, Science Fiction and tagged anna yeatts, dave truesdale, fan politics, hugo awards, jim hines, rumormongering, sad puppies, science fiction, tangent online on August 24, 2016 by Jeb Kinnison.